There are times when a short piece of wire, not a full-sized leader, is all that's needed to prevent bothersome cutoffs from kingfish, wahoo and other toothy game fish. 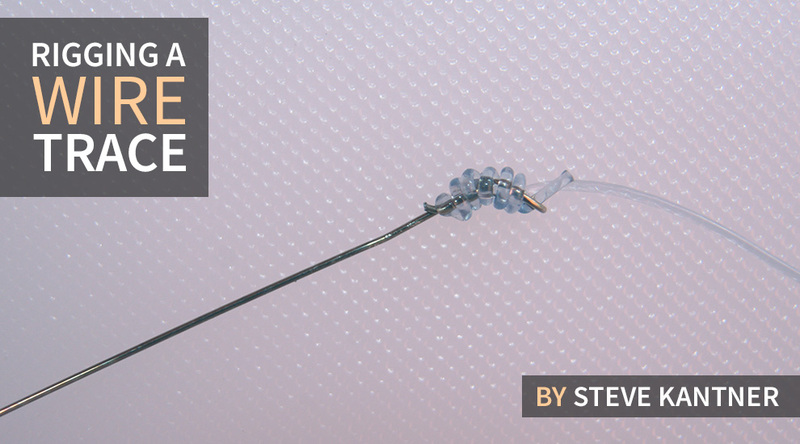 While most standard mono-to-wire connections create their own set of problems, from weakening lines to hampering a bait's ability to move around freely, this rig does not. 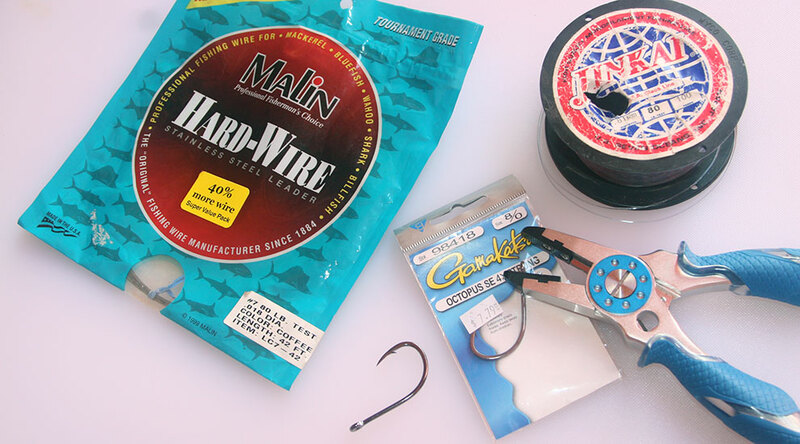 MATERIALS: Wire appropriate for the size of your baits, monofilament that's 1.5 to 2 times the test of your main line and a pair of good pliers. 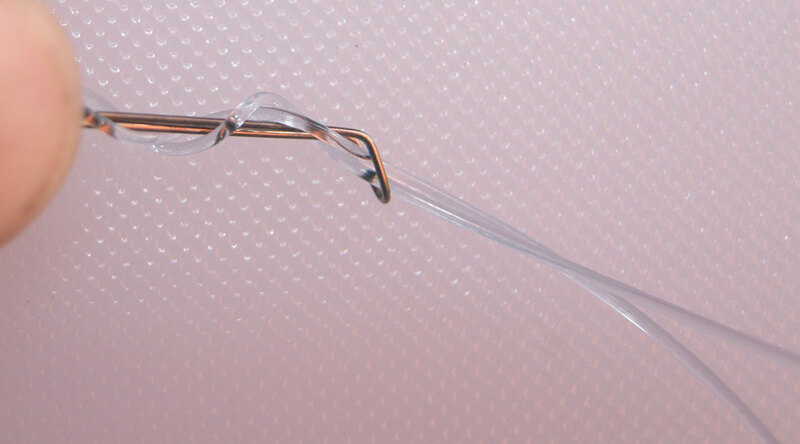 In the past, many anglers would simply make a sharp bend in a short piece of wire, forming a loop to which they would attach the main line via an Albright Special knot. Notice how the mono exits the wire loop? 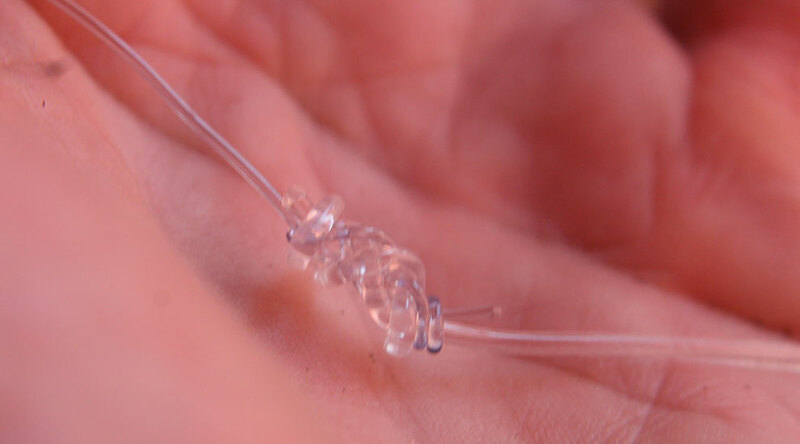 This will allow the mono line to rub against the wire, which can cause chafing that will significantly weaken the connection. Not ideal. To improve upon this connection, start by adding a short mono leader to your main line. Use 2 to 4 feet of mono that is 1.5 to 2 times the pound test of your main line, and join them with a full-strength knot like a Bimini Twist or Double Surgeons knot. Keep in mind that if you're using light tackle for very finicky fish, you may need to skip the heavier leader. 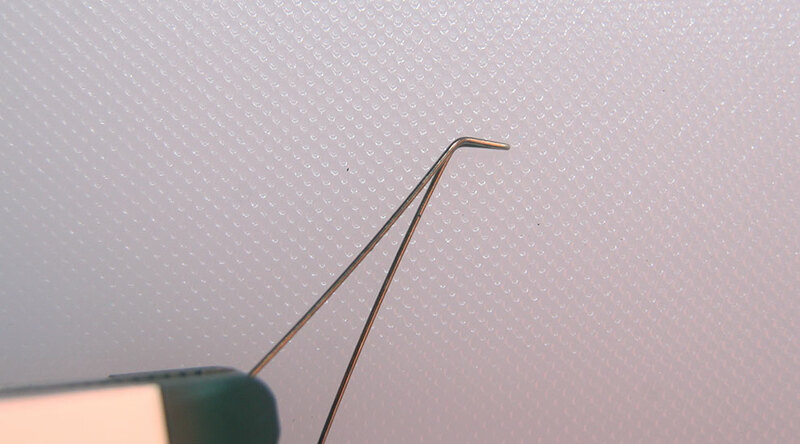 Form a loop by pinching the end of the wire between your thumb and forefinger before it ever sees the jaws of your pliers. The size of the bend depends on the pound test you're using for the mono. 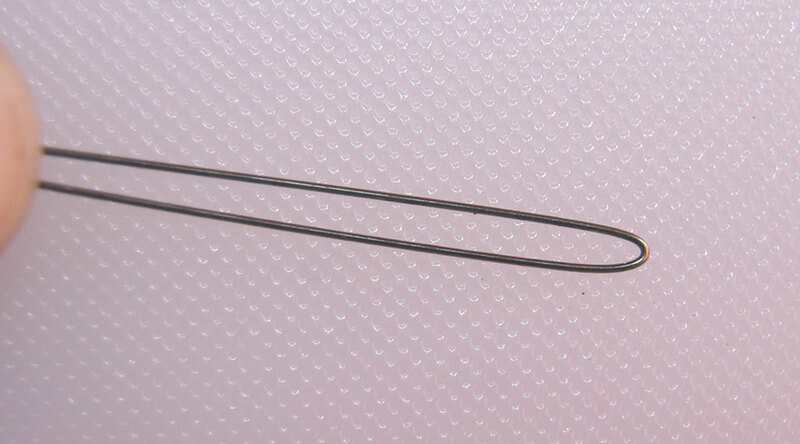 Think "lighter means tighter," but don't ever crease the wire because a kink will likely break. 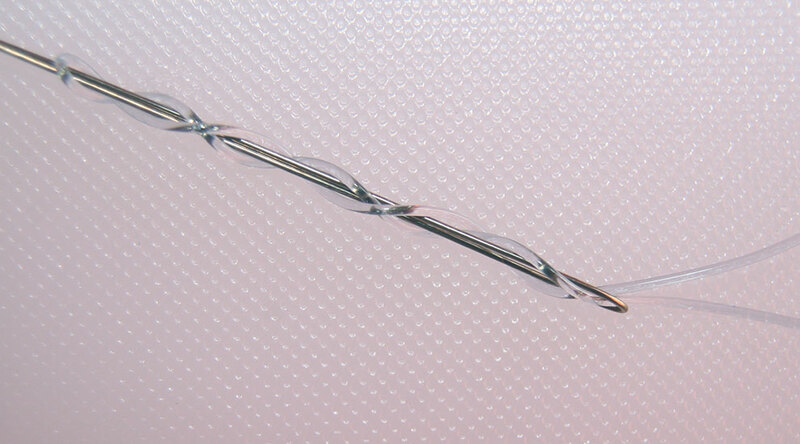 Gently squeeze the wire ends together with your pliers until they are doubled over as shown. 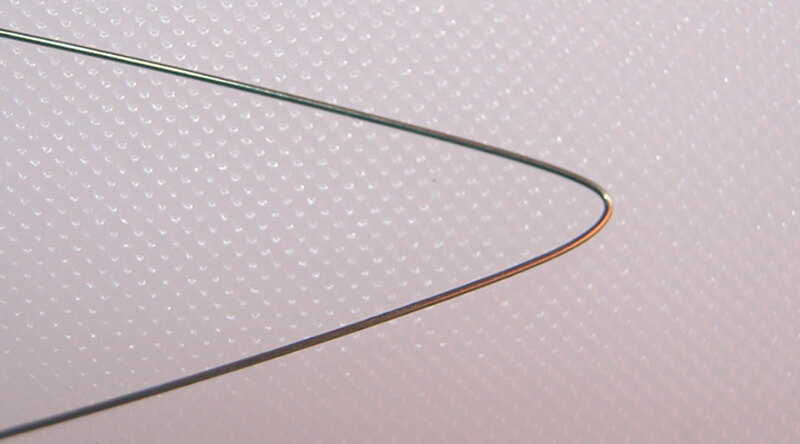 Grab the end of the wire loop with your pliers and bend it sideways to form a 45-degree angle. This bend will help protect your mono leader as it exits the loop. 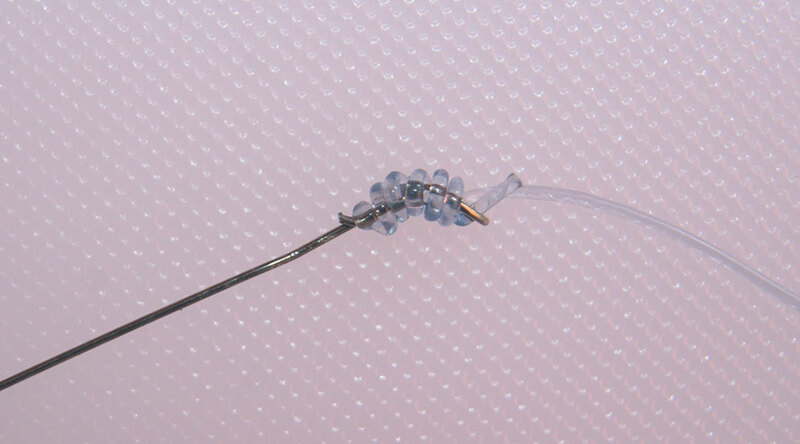 Push the tag end of the mono through the loop (you may have to pull the sides of the loop apart), and while pinching the loop, make four turns around both legs of wire. Double back and reverse the direction of your wraps, making three turns this time. 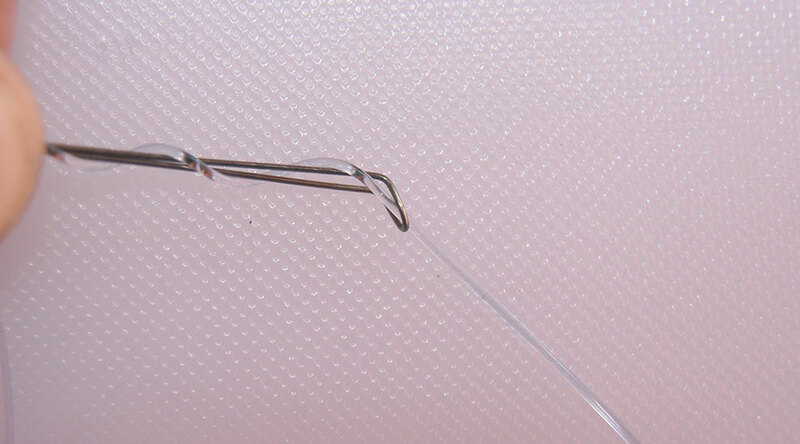 Thread the mono back through the loop on the same side that it entered at the tip. Pull the connection tight while gripping both the wire and mono, so that the coils line-up and there's no space between them. If joined correctly, the wire and mono should line up straight, with the bend of the loop protecting the mono from chafing. 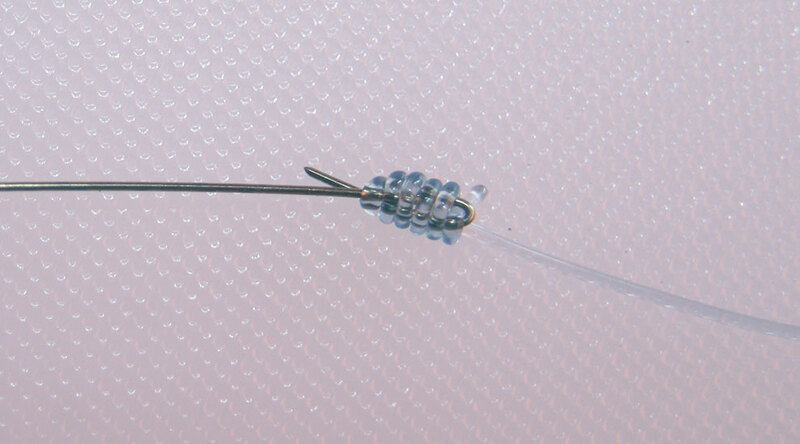 Trim the mono tag and form a "crank" in the wire tag end and break off the excess.